I can’t remember a time when chronic depression wasn’t a nemesis for me. As a child I often felt an overwhelming sadness and wept without understanding why. Now I’m a 67-year-old Christian college professor who still wanders occasionally into the dark fog of hopelessness. As an adult, a number of acquaintances have said things to me that frustrated more than helped. 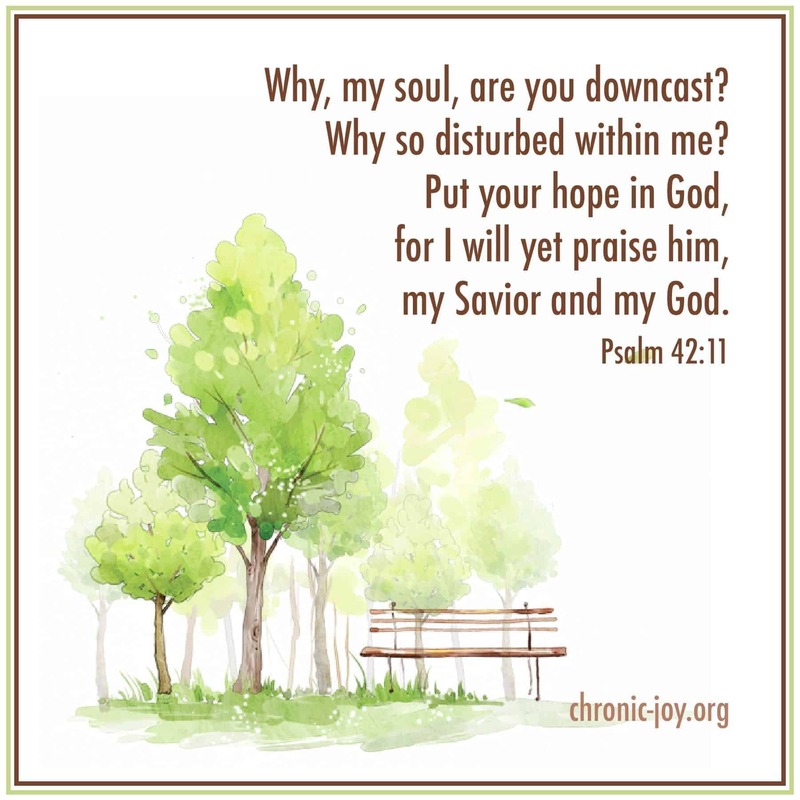 From my perspective as a conservative Christian, be wary of saying these three things to persons who are experiencing a major depressive episode. 1. Have you been having your quiet time lately? A lady in my Sunday School class posed this question after I asked for prayer during a depressive episode. I told her that I had been consistently reading God’s Word and praying. Her nonverbal reaction indicated that she didn’t believe me. Causes of chronic depression are too varied and complex to blame it on anemic faith or undisciplined devotional habits. I may have an upbeat day when I neglect time with the Lord, or I may have a dark day when I spend unhurried time with Him. 2. You won’t be depressed when you get to heaven! This statement teems with truth. Bodily pain, vulnerability to sin, strained relationships, and a proclivity for despondency are all temporary afflictions (Rev. 21:4). But a depressed state can clog the mental and emotional receptors due to a debilitating sense of despair experienced by the despondent person. When he or she is plagued by a high humidity in the heart that smothers motivation for daily tasks, when the person can’t imagine ever laughing again, the comment about heaven can come across as glib or superficial. What the person needs is your physical presence and heartfelt prayers for the Holy Spirit’s comfort. The close friend who left work to come alongside me on a rough day didn’t quote Bible verses to me. He understood that I could probably recite verbatim most verses he might mention. Instead, he wept for me, whispered prayers for me, and sat beside me for an extended period of time. 3. I’ll pray for this evil spirit of depression to leave you. Once again, I must qualify what I’m about to say. I’m a firm believer in the spirit world, both the angelic and the demonic. Because of the vulnerable state a depressed person is in, Satan may increase his attacks during such a time. Some depression may originate from Satan, especially when the despondency is a consequence of a pattern of sin in a sensitive believer. Yet this remark falsely assumes that all depression stems from demonic oppression or attack, with the cure being warfare praying that casts out the evil spirit. But the research is crystal clear: chronic depression is often associated with a depletion of a brain chemical, such as serotonin. A predilection for depression occurs in family lines, showing a genetic predisposition. Even physical diseases such as diabetes or hypothyroidism may wreck havoc on emotions and result in an extended dark mood. Assigning a spiritual cause to what may be a physically-induced condition could keep someone from getting the medical intervention he or she needs. No matter what causes depression, prayer and other spiritual weapons must be wielded. There’s a spiritual battle involved in how we respond to the despair. Will faith or hopelessness have the last word? But it’s an oversimplification to blame all depression on an evil spirit. When it comes to things NOT to say to a depressed person, what would you add to this list? Terry is on the faculty of Columbia International University in Columbia, South Carolina, and is author of Serve Strong: Biblical Encouragement To Sustain God’s Servants. His website penetratingthedarkness.com is an excellent resource on depression. Thank you, thank you, for expressing these truths. Since you asked, I would add that ANY verse of Scripture, used as a bullet to a depressed person is very damaging. I have struggled with anxiety and panic attacks and, when asking for prayer, been chastised “God hasn’t given us a spirit of fear!” (And other verses) Adding guilt or spiritual failure to a suffering soul adds to the burden. Apart from bring in willful sin, we cannot repent from emotional anguish any more than from a broken leg. Our cry for the broken and hurting is for inner healing and deliverance. That’s my cry. Thank you. Thank you! I have found all of these things to be so true also, as I’ve walked with a close family member through deep valleys. And even in the midst of my chronic physical illness, all of these statements that you shared apply just as well. May the Lord bless you for sharing from your open heart!